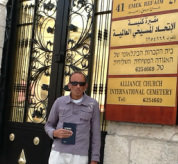 Jerusalem Wall of Life... It Is Finished! 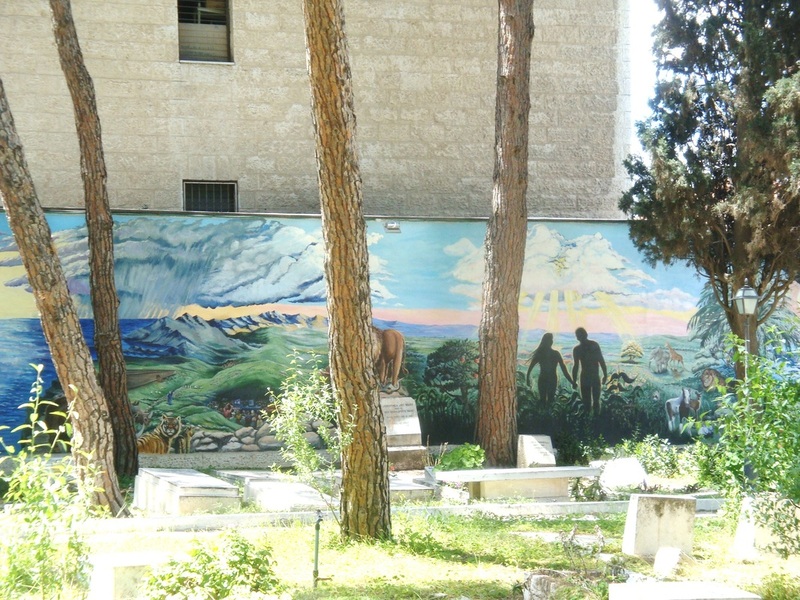 A colorful mural, longer than a football field, is located behind a stone wall, in a historic cemetery, in the most famous city on earth, Jerusalem. 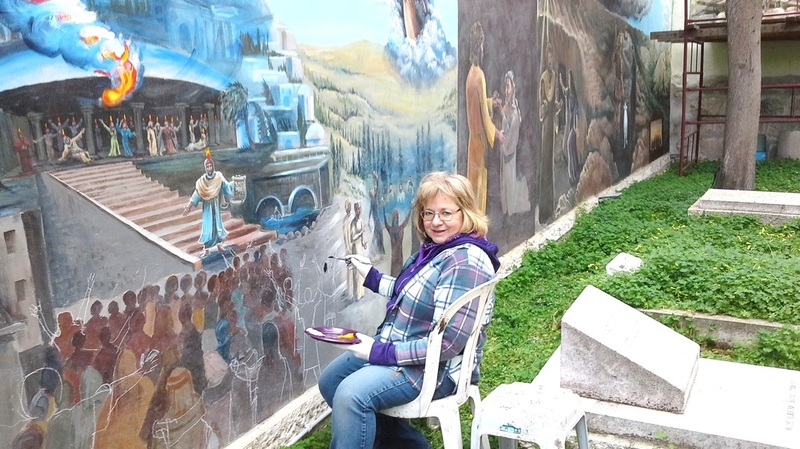 There, an American artist spent six and one half years painting the colorful scenes for people who need to connect with this magnificent love story of the Bible. Read her story here. 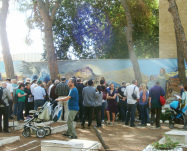 Thousands visit the Alliance International Cemetery in Israel each year. Many in tour groups from all over the world. Some are neighbors who need a peaceful place to rest. 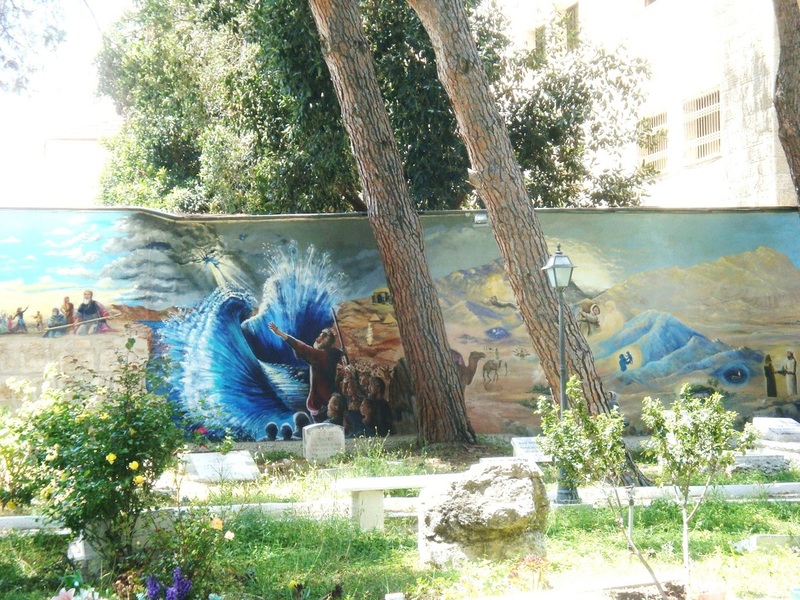 "The last mural session was exciting and challenging. 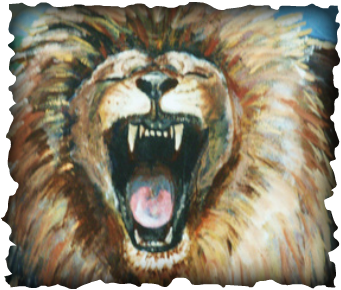 During the time just prior to the Feast of Tabernacles, the painting went well..."
Patricia was a part of the famous “hippie” culture in the 70’s. It was a time of darkness and suicidal depression that led to an important discovery and a new direction in life. Read her story.